On the ACL rule item, add your Active Directory group ( or “all” object). Create a new Group and whoose the option “Max User IP” in the dropdown list. Add an item “-s 1” for limit to 1 ipaddress per user. Click on “settings” tab of your proxy object. Tune the TTL delay on Time To Live field. 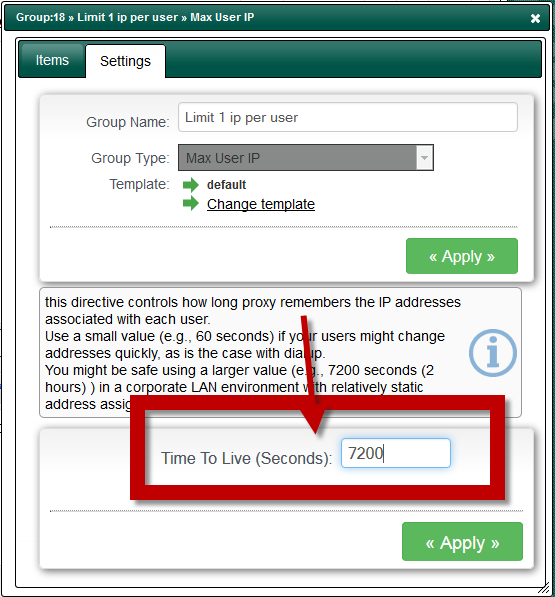 This directive controls how long proxy remembers the IP addresses associated with each user. Use a small value (e.g., 60 seconds) if your users might change addresses quickly, as is the case with dialup. You might be safe using a larger value (e.g., 7200 seconds (2 hours) ) in a corporate LAN environment with relatively static address assignments. 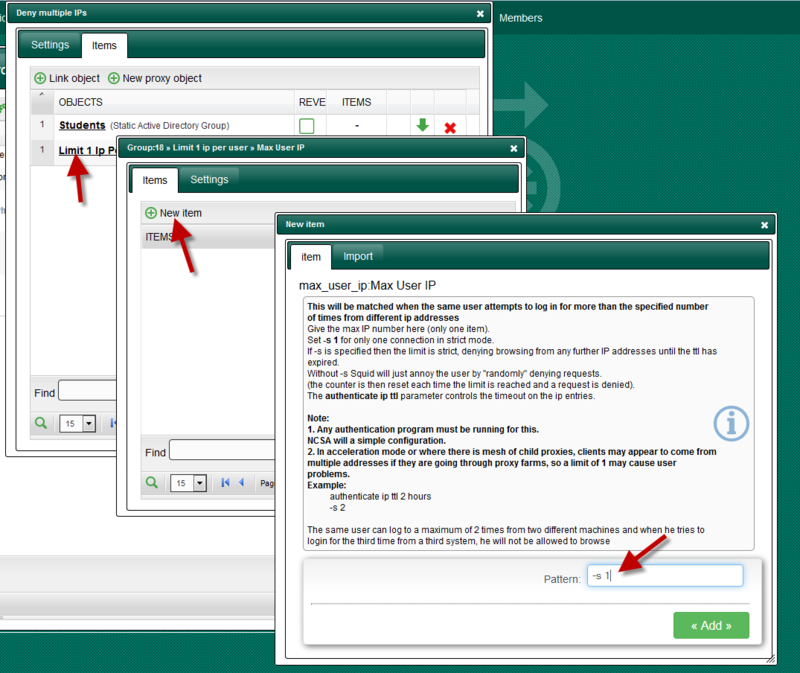 Click on “Apply” on the main table in order to put the rule into production mode.